When you notice mold growing in your family home you can depend on the mold removal Sahuarita staff at 911 Restoration of Tucson to get every trace of the fungus out of your property. Our service representatives are standing by around the clock, making them available 24/7/365 to schedule an appointment with us. Once we arrive on the scene we get the mold eradication process started with a free visual mold inspection, ensuring that both the homeowner and repairmen are on the same page with the work that needs to be done. Call our mold removal Sahuarita agents as soon as you notice any signs of mold or mildew on your property and we will get your home sanitized in no time. Our mold removal Sahuarita specialists have many years of experience eradicating mold from homes, so that experience coupled with our top of the line equipment allows us to offer you only the highest level of mold, fungus and mildew cleanup services. 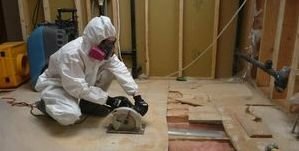 To extract mold and remove moisture from your home, our mold removal Sahuarita pros will use comprehensive equipment such as vapor barriers, air purifiers, eco-friendly cleaning agents, dehumidifiers, wet vacs and air movers, just to name a few. Along with providing you with the most high quality water extraction and drying services, homeowners can be sure that our mold removal Sahuarita crew will always provide the highest customer service. Our technicians will even help out with all the insurance paperwork too. Rest assured, our mold removal Sahuarita unit will work to keep your out of pocket expenses low, including always offering the most affordably priced mold cleanup in the area. Call our mold removal Sahuarita operation at 911 Restoration of Tucson the moment you discover fungus living with you inside your home with you, and we will make sure you get a fresh start.